Second Half ended - SV Werder Bremen 1, RB Leipzig 1. Thats all. Game finished - SV Werder Bremen 1, RB Leipzig 1. Missed chance. Ishak Belfodil - SV Werder Bremen - shot with the head from the centre of the box is close, but missed to the left. Assist - Max Kruse with a cross after corner. 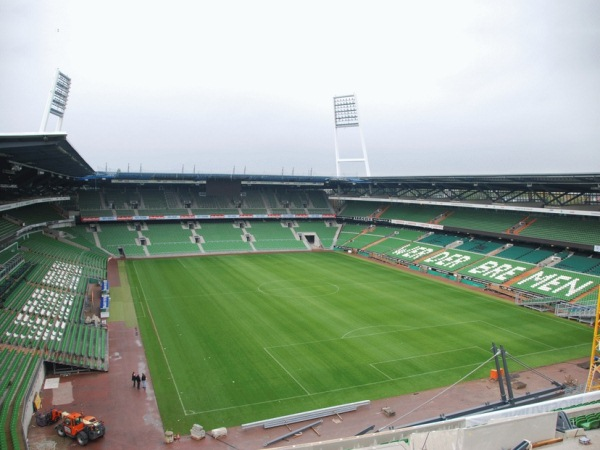 Corner - SV Werder Bremen. Conceded by Willi Orban. Willi Orban - RB Leipzig - receive yellow card for a foul. Ishak Belfodil - SV Werder Bremen - won a free kick on the right wing. 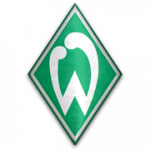 Substitution - SV Werder Bremen. Florian Kainz for Maximilian Eggestein. Emil Forsberg - RB Leipzig - won a free kick on the right wing. Missed chance. Niklas Moisander - SV Werder Bremen - shot with the head from the centre of the box is close, but missed to the left following a fast break. New attacking attempt. Ishak Belfodil - SV Werder Bremen - shot with right foot from the right side of the box is saved by goalkeeper in the centre of the goal. Assist - Niklas Moisander. Shot blocked. Thomas Delaney - SV Werder Bremen - shot with the head from the centre of the box is blocked. Assist - Jérôme Gondorf with a cross. Missed chance. Ishak Belfodil - SV Werder Bremen - shot with the head from the centre of the box is high and wide to the right. Assist - Max Kruse with a cross. New attacking attempt. Timo Werner - RB Leipzig - shot with right foot from the left side of the box is saved by goalkeeper in the centre of the goal. Assist - Ademola Lookman. Thomas Delaney - SV Werder Bremen - receive yellow card for a foul. Emil Forsberg - RB Leipzig - won a free kick in defence. Bernardo - RB Leipzig - won a free kick in defence. Missed chance. Jérôme Gondorf - SV Werder Bremen - shot with left foot from the centre of the box is close, but missed. Assist - Thomas Delaney with a cross. Substitution - SV Werder Bremen. Jérôme Gondorf for Zlatko Junuzovic. Theodor Gebre Selassie - SV Werder Bremen - won a free kick in defence. 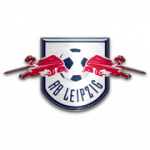 Yussuf Poulsen - RB Leipzig - won a free kick in attack. Substitution - RB Leipzig. Naby Keita for Kevin Kampl. New attacking attempt. Emil Forsberg - RB Leipzig - shot with right foot from outside the box is saved in the right corner. Ademola Lookman - RB Leipzig - won a free kick in attack. Missed chance. Emil Forsberg - RB Leipzig - shot with right foot from outside the box is very close to the goal. Assist - Timo Werner. Stefan Ilsanker - RB Leipzig - won a free kick in defence. Missed chance. Emil Forsberg - RB Leipzig - shot with left foot from the right side of the box is close, but missed. Assist - Yussuf Poulsen. Thomas Delaney - SV Werder Bremen - won a free kick on the left wing. Offside - SV Werder Bremen. Theodor Gebre Selassie with a pass, however Maximilian Eggestein is in offside. Emil Forsberg - RB Leipzig - won a free kick in attack. Offside - RB Leipzig. Diego Demme with a pass, however Timo Werner is in offside. Corner - RB Leipzig. Conceded by Milos Veljkovic. Substitution - SV Werder Bremen. Ishak Belfodil for Milot Rashica. New attacking attempt. Timo Werner - RB Leipzig - shot with the head from the centre of the box is saved in the top centre of the goal. Assist - Stefan Ilsanker. Bernardo - RB Leipzig - won a free kick in attack. Diego Demme - RB Leipzig - won a free kick on the left wing. Missed chance. Max Kruse - SV Werder Bremen - shot with the head from the centre of the box is close, but missed. Assist - Marco Friedl with a cross. New attacking attempt. Max Kruse - SV Werder Bremen - shot with right foot from outside the box is saved by goalkeeper in the centre of the goal. Assist - Thomas Delaney. Missed chance. Timo Werner - RB Leipzig - shot with the head from the left side of the box is close, but missed. Assist - Bernardo with a cross. Missed chance. Timo Werner - RB Leipzig - shot with right foot from a diffucult position on the left missed. Assist - Diego Demme. Theodor Gebre Selassie - SV Werder Bremen - won a free kick on the right wing. Goal! SV Werder Bremen 1, RB Leipzig 1. Ademola Lookman - RB Leipzig - shot with right foot from the right side of the six yard box to the right corner. Assist - Stefan Ilsanker. Missed chance. Ibrahima Konaté - RB Leipzig - shot with left foot from the centre of the box missed to the left. Assist - Emil Forsberg with a cross after corner. Corner - RB Leipzig. Conceded by Marco Friedl. Substitution - RB Leipzig. Ademola Lookman for Dominik Kaiser. Second Half starts SV Werder Bremen 1, RB Leipzig 0. First Half ended - SV Werder Bremen 1, RB Leipzig 0. Shot blocked. Milot Rashica - SV Werder Bremen - shot with right foot from the centre of the box is blocked. Assist - Max Kruse. Corner - SV Werder Bremen. Conceded by Péter Gulácsi. New attacking attempt. Zlatko Junuzovic - SV Werder Bremen - shot with right foot from the left side of the box is saved by goalkeeper in the centre of the goal. New attacking attempt. Milot Rashica - SV Werder Bremen - shot with right foot from outside the box is saved by goalkeeper in the centre of the goal. Corner - SV Werder Bremen. Conceded by Bernardo. Philipp Bargfrede - SV Werder Bremen - won a free kick in defence. Zlatko Junuzovic - SV Werder Bremen - won a free kick on the right wing. Kevin Kampl - RB Leipzig - won a free kick in defence. Shot blocked. Dominik Kaiser - RB Leipzig - shot with right foot from outside the box is blocked. Dominik Kaiser - RB Leipzig - won a free kick on the right wing. Goal! SV Werder Bremen 1, RB Leipzig 0. Niklas Moisander - SV Werder Bremen - shot with right foot from the centre of the box to the right corner. New attacking attempt. Max Kruse - SV Werder Bremen - shot with left foot from outside the box is saved in the top left corner. Assist - Niklas Moisander. Zlatko Junuzovic - SV Werder Bremen - won a free kick in defence. Dominik Kaiser - RB Leipzig - won a free kick in defence. Timo Werner - RB Leipzig - won a free kick in defence. Dominik Kaiser - RB Leipzig - won a free kick in attack. Shot blocked. Theodor Gebre Selassie - SV Werder Bremen - shot with right foot from outside the box is blocked. Thomas Delaney - SV Werder Bremen - won a free kick in defence. Niklas Moisander - SV Werder Bremen - receive yellow card for a foul. Corner - SV Werder Bremen. Conceded by Ibrahima Konaté. Shot blocked. Milot Rashica - SV Werder Bremen - shot with right foot from the left side of the box is blocked. Assist - Thomas Delaney. Offside - RB Leipzig. Diego Demme with a pass, however Kevin Kampl is in offside. Missed chance. Zlatko Junuzovic - SV Werder Bremen - shot with right foot from outside the box is close, but missed to the left from a free kick. Willi Orban - RB Leipzig - won a free kick in defence.